BEIZE, an advanced pond sanitizer consists of benzalkonium chloride, a cationic surfactant, belonging to non-oxidizing biocide. 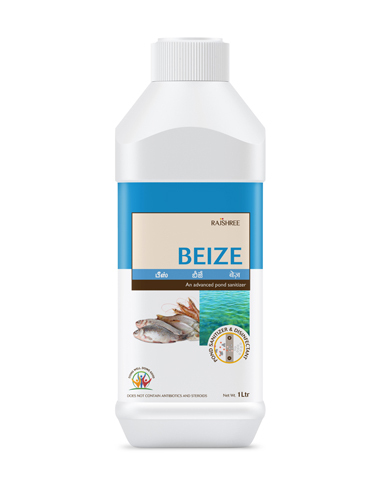 BEIZE possess effective Antimicrobial, Antifungal, Antiprotozoal and Antiviral properties in order to tackle pathogenic infections in fish and shrimp ponds. It also helps arrest excess algae propagation. Available in 1 liter and 5 Litres.